CHERRYVALE — Lawrence R. Cretcher, 87, of Cherryvale died Friday, May 11, 2018, from injuries sustained from a motor vehicle accident south of Cherryvale. 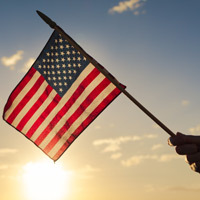 Marvin S. ‘Buddy’ Robinson Sr.
Marvin S. “Buddy” Robinson Sr., 85, of Parsons passed away at 4 a.m. Friday, May 4, 2018, at Colmery-O’Neil VA Medical Center, Topeka, after a long illness. DERBY – David Scott Anderson, 51, passed away Saturday, May 5, 2018. Memorial Service: 2:00 pm, Friday, May 18 at Smith Mortuary, Derby. Cecil Kenneth Simmons, 84, of Leavenworth, died, Tuesday, May 15, 2018, in Easton, Kan., with his wife and daughter by his side. William G. Orr, age 70, of Blue Rapids, passed away on Monday, May 14, 2018, at Stormont Vail Hospital in Topeka. Celebration of Life services are at 2:00 pm, Saturday, May 19, 2018, at Terry-Christie Funeral Home in Waterville. www.terrychristiefuneralhome.com. Stephen Bradley Maynard, 65, formerly of Arkansas City, passed away Sunday, May 13, 2018, in McLoud, Okla., after a lengthy battle with Parkinson’s disease. Services were held for James “Pat” Newman at 10 a.m. May 15, 2018, at Arkansas City First Assembly of God Church. Pastor James Newman officiated. Burial ceremonies were at Tannehill Cemetery in Winfield. Jeffrey K. “Jeff” Giffin, 54, formerly of Hutchinson, died Friday, May 11, 2018, at his home in Winfield. View The Obituary For Paula Sue Rein of Ellis, Kansas. Please join us in Loving, Sharing and Memorializing Paula Sue Rein on this permanent online memorial presented by Fitzgerald Funeral Home. View The Obituary For Misty Marie Peterson of Douglass, Kansas. Please join us in Loving, Sharing and Memorializing Misty Marie Peterson on this permanent online memorial presented by Dunsford Funeral Home and Crematory. 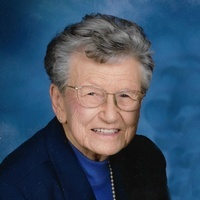 View The Obituary For Helena Ella (Wettstein) Rhuems of Pittsburg, Kansas. Please join us in Loving, Sharing and Memorializing Helena Ella (Wettstein) Rhuems on this permanent online memorial presented by Brenner Mortuary.